Sharp-eyed members of Scott’s Cheap Flights are familiar with one of our favorite flight search engines: Google Flights. Nearly every cheap flight alert we send to members includes a Google Flights sample search. Google Flights is one of the most powerful flight search engines on the internet, both easy to use and with a multitude of features to make airfare hunting easier. 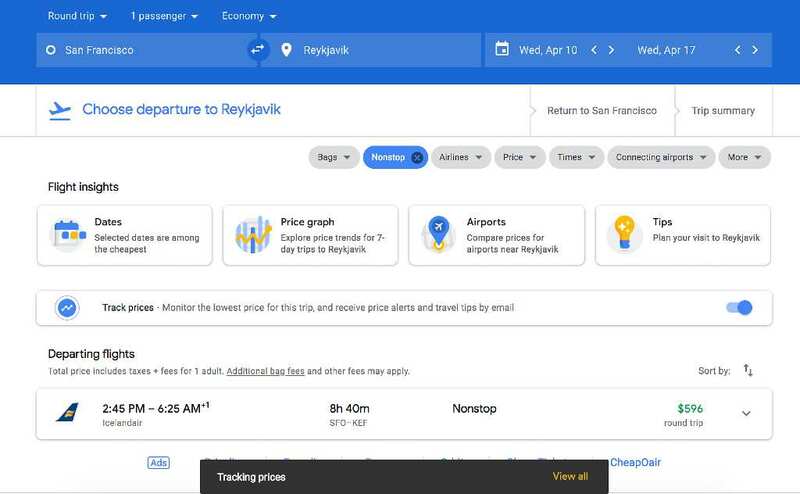 In 2018, Google Flights unveiled a major design overhaul, adding some features and reconfiguring others. This guide will help you get the most out of Google Flights, and, hopefully, find even more cheap flights. Lightning fast: Google Flights is faster than any other flight search engine, displaying months worth of fares in fractions of a second. 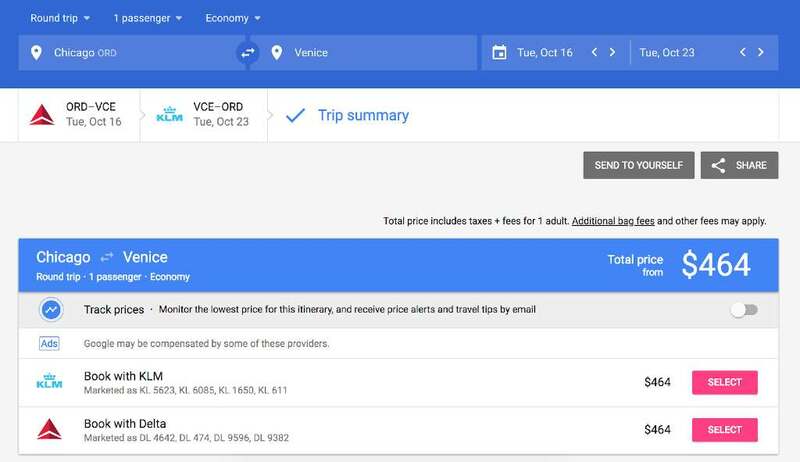 Calendar-based fare view: Google Flights has a simple, intuitive calendar view that shows you the cheapest fare over the next 12 months. Multiple airport search: Google Flights lets you search for the cheapest fare between up to 7 origin and 7 destination airports, without slowing the search down. 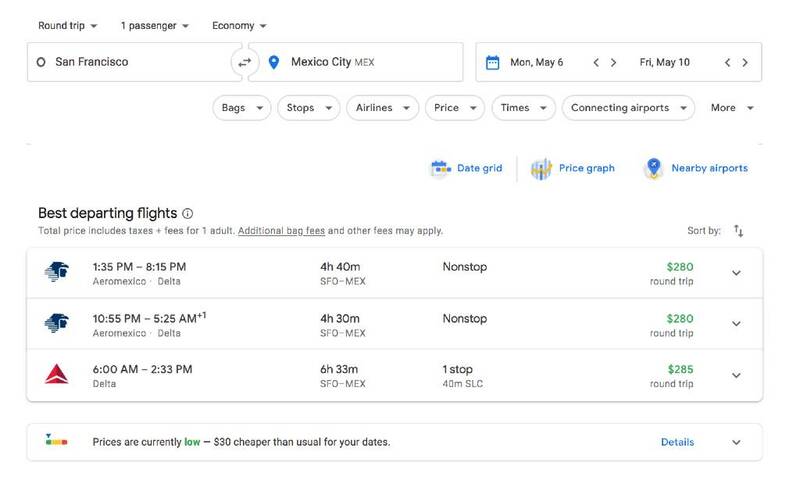 Doesn't always have the lowest fares: Google Flights works by searching fares sold directly from the airlines and a handful of the top online travel agencies (OTAs), such as Expedia or Orbitz. Many times the best fares are found on smaller online travel agencies that Google Flights doesn’t look at. Google Flights doesn't display results from Southwest Airlines, so you'll also need to check those directly with the airline. Doesn't find many mistake fares: Similarly, many mistake fares only show up on smaller online travel agency websites. Google Flights won’t be able to find those. Displays unavailable deals: Every once in a while, Google Flights will tell you a fare is available at a certain rate, but when you click to proceed with a booking either (a) the fare jumps in price, or (b) there is no way to book online and instructs you instead to call the airline. (Don’t bother calling, it won’t work.) This phenomenon is called "ghosting", and happens occasionally on Google Flights when a fare was recently available but no longer is. Google Flights searches fares on nearly every airline’s website, as well as the largest online travel agencies like Orbitz and Priceline. In the top left-hand corner of Google Flights, look for the "hamburger"—the three horizontal lines to the left of the words "Google Flights." This opens up a vertical menu on the left-hand side. At the bottom of this, there are options to change the language, currency, or country you use for Google Flights. From here you can also access the Explore map, or view any prices you're tracking (more on that below). You can also adjust your country, currency, and language at the bottom on the page. Remember that you can put up to seven airports in each box, separated by commas. If you’re looking for a cheap trip to anywhere Europe, for example, you might put as your destination “LHR, CDG, AMS, CPH, BCN, FCO, MXP” to see where the cheapest flight is from Chicago to either London, Paris, Amsterdam, Copenhagen, Barcelona, Rome, or Milan. Remember that some cities with multiple airports have city codes. These include NYC (New York City) or WAS (Washington DC), which count for 3 each because NYC = JFK, LGA, EWR and WAS = DCA, IAD, BWI. Important: Google Flights only takes into account prices in the months you’ve told it to look at. So in the above example, the green dates are the lowest in September and October. However, there could be cheaper dates in future months that Google Flights will only find if you click the right arrow to scroll to later months. Once you’ve looked at the calendar of lowest fares, click on the date you want for your departure, after which you’ll click on the date you’d like to return. Notice that Google Flights lists a few up top that they consider to be the “Best departing flights” taking into account factors like price and routing. It can still be worth taking a look at the “Other departing flights” to see if any of those work better for your schedule. All flight times on Google Flights are shown in local time. If you notice a +1 next to the arrival time listed, on a Google Flights itinerary, it means your flight arrives the next day (or 2 days later if it says +2). If you want to go back and change the departure flight, all you do in the above example is click where it says “ORD-VCE Tue, Sep 18” towards the upper left. Note: The price Google Flights shows includes taxes. If you've searched for a round trip itinerary, the price displayed by Google Flights will be the cost for the entire round trip. Google Flights isn't an online travel agency (OTA); it's a flight search engine. That means you can't actually book a flight on Google Flights as Google Flights doesn't sell flights to the consumer. Instead, Google Flights will pass you on to the airline's website where you can book directly. Click to book either through KLM or Delta and you’ll be taken to their checkout page where you’ll enter passenger and payment information. 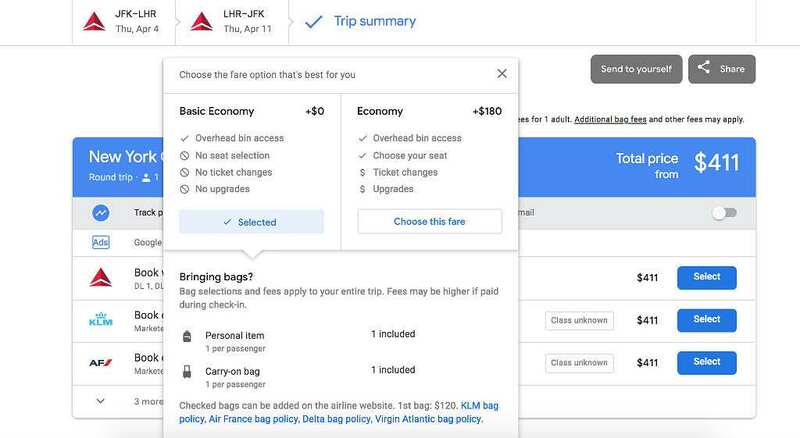 On occasion, Google Flights will initially tell you a cheap fare is available, but when you try to book the fare either jumps in price or is unable to be booked altogether. In each of these cases, there’s no way to book those specific flights on those specific dates at the original cheap price. None of these routes are guaranteed; sometimes a ghosting fare is unable to be booked anywhere. One of the handy, hidden features of Google Flights is the ability to pull up a map and see cheap flights across an entire country or region, though note that to get full use of this feature you need to be on a desktop, not mobile. You can even enter entire continents like Europe or Asia rather than specific countries. One important factor to keep in mind is the initial map view only shows you the fares on the specific dates you entered. One of Google Flights’ most powerful features is the ability to set an array of filters to ensure you only get search results you’re interested in. Once you have selected your flights, you'll see a page with the final price and links to book with the airlines. At the top, underneath the departure and destination cities, you'll see a suitcase icon on the class of travel: economy or basic economy. If you click that button, a box will open with an explanation of what's included in each fare. You can then select your preferred class. Set your departure and destination cities and your dates. On the results page, look for the "Track prices" button and click it so it toggles on and turns blue. If you're not signed in to Google, you'll be prompted to do so. Once you've clicked the button to track flights, you'll see a small box at the bottom on the page where you can "View all" to see all the flights you're tracking. You'll get an email whenever the price changes. One caveat of tracking flights with Google Flights is that you may end up getting a lot of email notifications, as flight prices can change quite a bit day to day. Unfortunately, you cannot set the alert to only notify you if the cost reaches a particular threshold. And you can't set an alert for a general date range or a general region; you have to choose a destination and set specific dates. 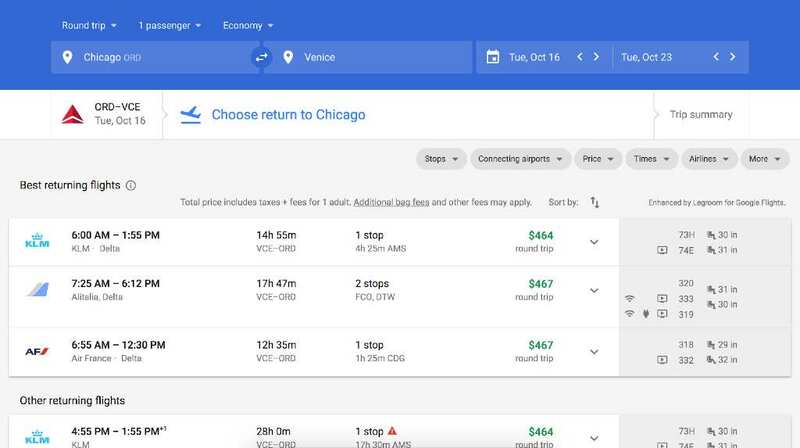 Google Flights recently rolled out a new feature that will help you figure out if the flight you've found is a good deal. 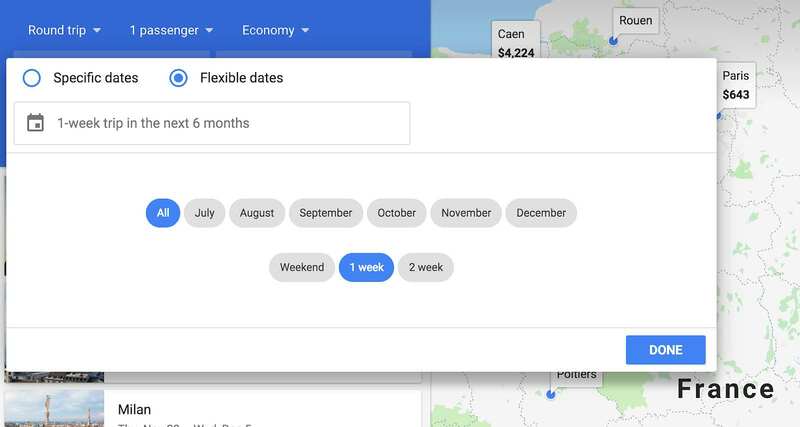 It's currently only available on some routes, and we've seen it show up inconsistently for now, but once it's fully rolled out, it'll be a helpful way to figure out, at a glance, whether the price you're seeing is a good deal based on average prices for your specific dates. The data shows up underneath the flight options on the search results page. Take, for example, the deal we recently shared for $280 roundtrip flights from San Francisco to Mexico City. Google Flights says these tickets are usually $30-70 more expensive at $308-$353 for these dates, so it classifies this as a good deal. In this case, the lowest price is a great nonstop flight, but be aware that sometimes the lowest price might involve multiple layovers or bad routing, so while Google Flights may call it a deal based purely on price, it might not be a flight you want to take. The color-coded bar tells you if prices are lower than usual (green), average (yellow), or higher than usual (red). It also tells you how much more or less you'll pay than average price. You can expand the section by hitting the blue "Details" hyperlink. 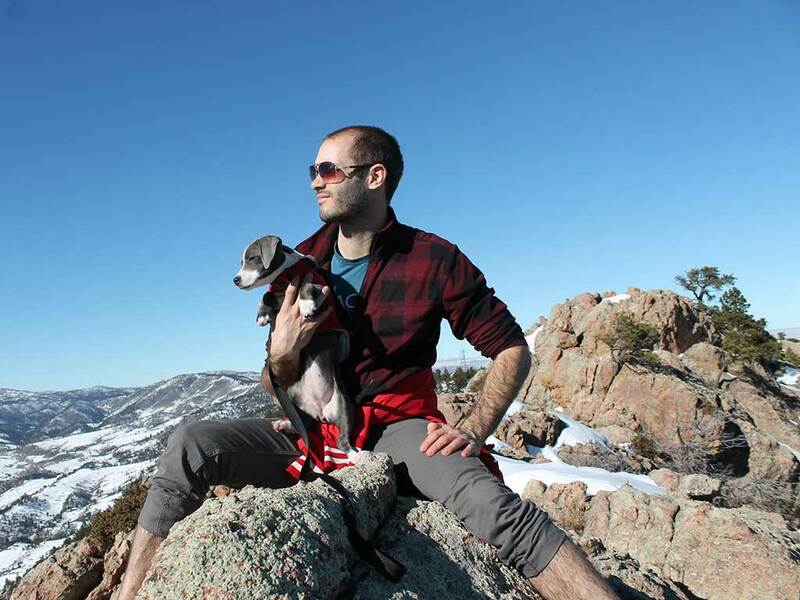 Here you'll get more specifics on the range of average prices for your dates. Because Google Flights is a search engine and the flights are actually booked directly with the airline, refunds are up to each airline's policy. In the United States, the Department of Transportation's "24-hour rule" ensures that you can cancel your flight within 24 hours of ticket purchase and get a full refund. The rule applies to any flight departing from the US, so long as the ticket was booked direct with the airline, and it was booked at least 7 days before departure. 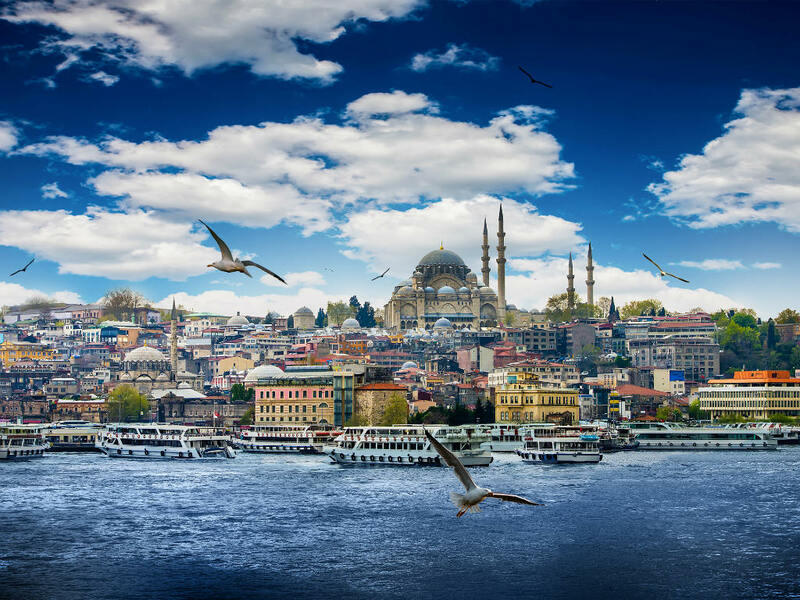 Read our Ultimate Guide to Finding Cheap Flights, and start your free trial of Scott's Cheap Flights to save up to 90% on international flights.